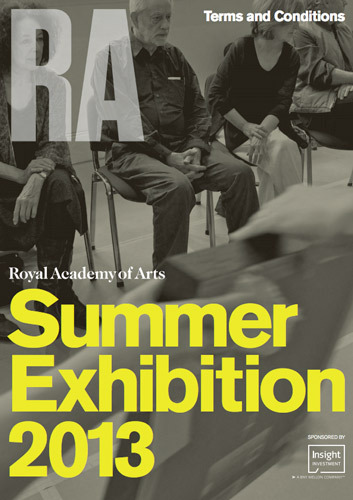 Artists have got about six weeks to get their entries sorted for the 245th RA Summer Exhibition 2013 at the Royal Academy of Arts. This very prestigious exhibition will be held at Burlington House, Royal Academy of Arts (Monday, 10th June - Sunday, 18th August 2013). It's likely to have around 150,000 visitors. This post is about the entry process for the world's largest open submission art competition which has been held every year since 1769.
for those who have just forgotten how and need a reminder! First we need to look at last year and what changed - before we go on to wonder whether the changes will be abandoned and the exhibition will revert to "type". There seemed to be a conscious effort to attract more artwork from younger artists to address accusations which have been justifiably levelled at this competition in the past. the hang was changed in a quite radical way and many more smaller paintings were hung in the Large Weston Room. This was presumably associated with the fact the Exhibition hung more work from the open entry than ever before. 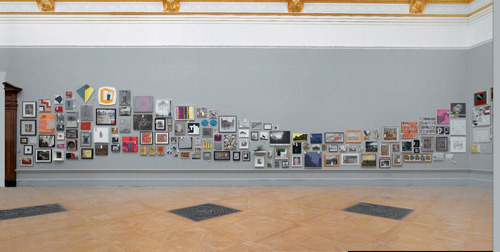 This was my review of last year's exhibition - Review: 244th Summer Exhibition at the Royal Academy which focuses on the extent to which the exhibition changed last year. Posted by Making A Mark on Wednesday, January 30, 2013 0 comments Who's linking to this post? 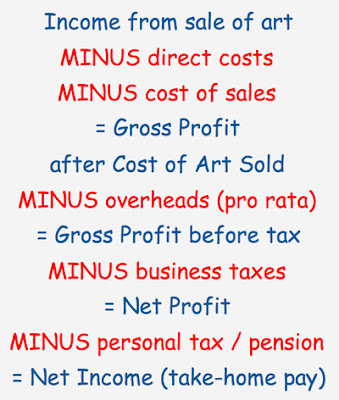 Here's Ten Tax Tips for Artists - some of which are reminders for me this time next year! Plus some links to guidance on what to do and what not to do! In my experience, anybody who is willing to spend some time sitting down and reading the guidance notes should be able to compile their own tax accounts and do their own tax return online unless their affairs are complicated. Learn the difference between income/expenditure and receipts/payments - and all about allowances! Posted by Making A Mark on Tuesday, January 29, 2013 1 comments Who's linking to this post? 27th January 2013 - Who's made a mark this week? This is going to be a quickie. As ever I've left my tax return to the last minute and must get it done pronto! 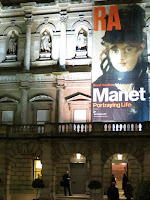 Exhibition Review: Manet - Portraying Life at the RA - this is the headlines version. I'm aiming for a more reflective one this week. I'd be interested to hear the views of people who have visited the exhibtiion. 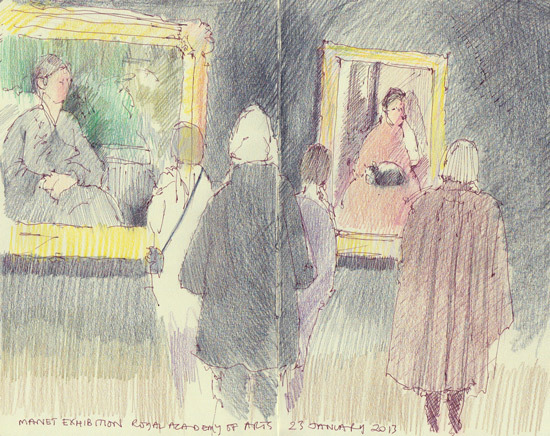 Sketching the Manet Exhibition at the RA - two sketches - and you can see one of them above. I've only just found out that the Scribbletalk Forum is no more due to the low level of activity and has been replaced by a new and private Facebook Group as a means of getting image security and privacy. There is also a very active Facebook Group called Colored Pencil Artists and Lovers on Facebook which is also a closed group but has a lot of very familiar names from the world of coloured pencils. RECOMMENDED: The Art of Snow and Ice is a fabulous overview of paintings of snow and ice through the ages - Tales of Winter: The Art of Snow and Ice is available on iPlayer until 1st February. Artist Stephen Wiltshire draws London view from memory after one trip up the Shard is self-explanatory! (Lisa Snow Lady) is the blog of Seattle artist Lisa Snow Lady. She's a great colourist - enjoy the paintings. The Painter's Table describes itself as "magazine of the painting blogosphere"
June Mendoza is the featured artist on the website of the Royal Society of Portrait Artists - with her portrait of Paralympic athlete David Weir who won four gold medals in 2012 for the 800m, 1,500m, 5,000m and the Marathon. 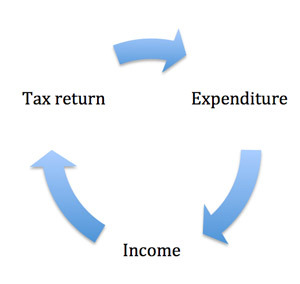 to follow - after the Income Tax Return! ArtInfo reports that an Artist (was) Busted at SCOPE Miami for Copying Photographers’ Works. Somewhat predictably the Gallery now wants to have nothing to do with the artist. Also somewhat predictably the artist still doesn't seem to get what they did wrong. It's not about giving a credit - it's about getting written permission so that you can create a derivative work!!! Why do so many galleries use such pompous, overblown prose to describe their exhibits? Well, there's now a name for it: International Art English. And you have to speak it to get on. The Guardian contemplated its navel and gas a discussion about what is a blockbuster exhibition. Blockbuster art - good or bad. Don't forget the Making A Mark Opinion Poll in the right hand column - Do you read ebooks about Art? 2013 is a multiscreen world and people arrive at the places where we display and sell art via a variety of different screens and technologies. Buying via the internet is very common and buying by mobile devices is becoming increasingly common. So are you alert to what this means for you? Based on feedback from both users and webmasters, we redesigned Google Images to provide a better search experience. In the next few days, you’ll see image results displayed in an inline panel so it’s faster, more beautiful, and more reliable. 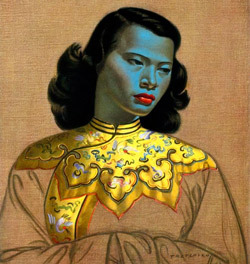 The painting behind what is reputedly the most reproduced print - the green skinned Chinese Girl by Vladimir Tretchikoff - is to go to auction at Bonhams - see Chinese Girl portrait goes to auction. This article Revealed after 60 years... the real Green Lady whose face is on a million living room walls identifies the model, Monika Pon, who was the original Chinese girl and shows her side by side with the painting. I'm wondering how anybody can ever tell what is the most reproduced print. I think it's unlikely that it's still the most reproduced print - even if it was in the 1950s. I wonder what is the most reproduced print today. Answers via comments please. Posted by Making A Mark on Sunday, January 27, 2013 3 comments Who's linking to this post? Categories art, art blog, art economy, artist, colored pencils, exhibition, landscape, painting, portraiture, who's made a mark this week? I'm still ringing the changes trying to find a painting that one of you is unable to guess within a couple of hours of it being posted! We're back to still life this week. How to participate in "Who painted this? #13"
Posted by Making A Mark on Friday, January 25, 2013 12 comments Who's linking to this post? This is the headline short version of my review of Manet - Portrayal of Life - the new exhibition at the Royal Academy of Arts - which is the first major exhibition of Édouard Manet. That's because I forgot to take my pill that makes me mobile and I'm in agony and can hardly move after the Friends Private View this afternoon! There's not a lot of paintings (59?) and they're utterly swamped by being in the big main galleries of the RA (the ones used for the Summer Exhibition). Some stunning paintings - and some which I personally don't think deserve to be in an exhibition. This would have been a much better exhibition with certain paintings culled (not good enough) and transferred to the Sackler Galleries upstairs which would have suited both the size of the exhibition and the size of many of the paintings much better. Posted by Making A Mark on Thursday, January 24, 2013 8 comments Who's linking to this post? I've finally got round to doing something I intended to do after a post I wrote in 2009. That dealt with How much are you paying yourself? I've now revised this and published it as a "Numbers for Artists" Guide - called How to Work out Profit from an Art Sale. As with yesterday's guide, you can find this on the Making A Mark Guides section of my Making A Mark website - click the link in the title of the Guide to access it. Posted by Making A Mark on Wednesday, January 23, 2013 1 comments Who's linking to this post? Have you ever sat down and really analysed how much it really costs to enter a juried art competition or open exhibition? you're not submitting to a local gallery and it's not a short local drive in the car. You've often got to get the artwork to a place a long way from home. This involves packing costs and shipping/travel costs which you don't normally have to pay - often both ways if the work is not accepted or doesn't sell. There's only one thing worse than a nasty shock after you've worked through the numbers - and that's a nasty shock because you didn't work through the numbers! I started working out the costs when I needed to work out a price for my work. I didn't mind making only a little money if the work sold - I understood that juried exhibitions are often much more about marketing and building a following then they are about selling per se. However I did object to making a loss! Bear in mind that I also don't have the same transport/travel costs as other people as I already live in London. It really made me start paying attention to pricing and to the scope to manage costs (eg buying frames which were standard sizes rather than custom made so that they can be reused with the mats custom made - by me). Setting the costs out on paper helped me to focus on what costs could be better managed, what costs could be eliminated and what costs you just had to take on the chin. A Making A Mark Guide: Analysing the cost of entering a juried art exhibition - is available from my website. 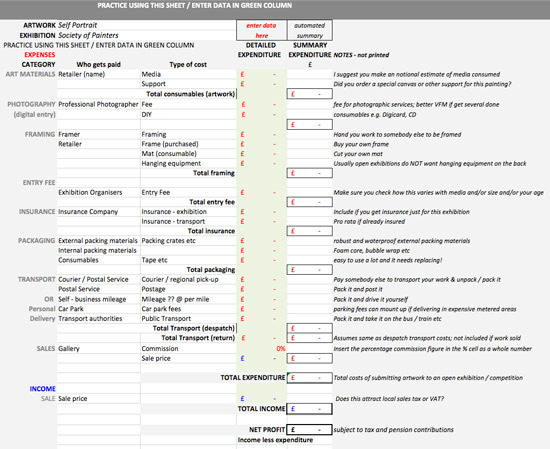 The spreadsheet automatically summarises costs and produces overall totals and net cost or profit. a proforma template (yellow tab) which you can tailor to your own needs if you know how to use Excel. Just copy the whole sheet over to a new sheet to start a calculation. Don't worry if you make a mess of it - you can always download it again! If you're used to using spreadsheets, you should find it fairly self-explanatory. Your cost data is entered in the green column in the practice sheet and the summary costs are then calculated automatically. Posted by Making A Mark on Tuesday, January 22, 2013 9 comments Who's linking to this post? 20th January 2013 - Who's made a mark this week? 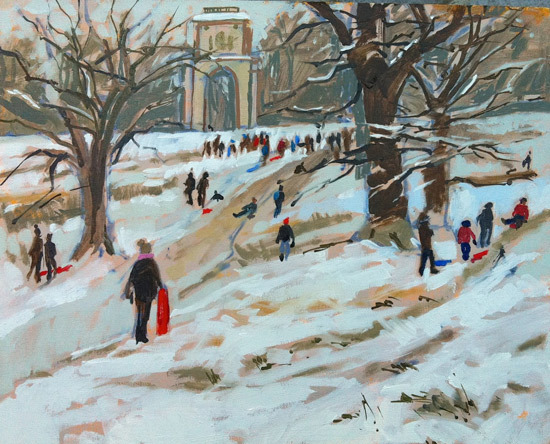 This week the snow has come to London - and the UK - this week and I've been looking for people drawing and painting the snow. I'm intrigued by Lin Frye's "Krylon Acrylic White Webbing" in SNOW!!!! But not quite like this ... in View from the Oak so I googled it and now I know! Duane Keiser (a painting a day) painted his First Snow, 1/17/2013 which seems to be a painting of snow at dusk or in the dark. The Guardian Art and Design section has an art challenge and asks people to Share your art: readers' winter wonderlands which has a slideshow of some interesting interpretations of winter. 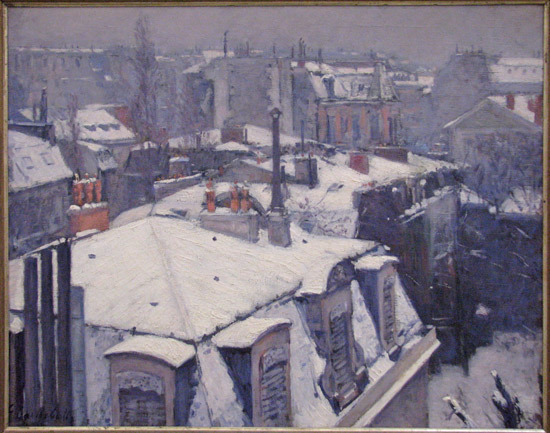 Taryn Day (The Art Room) has a poll on her blog to vote for two favourite Winter Paintings - by contemporary painters and by artists of the past. There's some good choices - including on of my favourites - by Gustave Caillebotte. I took a photograph of it in the Musee d'Orsay in 2009 - see below. Posted by Making A Mark on Monday, January 21, 2013 1 comments Who's linking to this post? Categories art, art blogs, Art Business and Marketing, art collectors, art competition, art education, art society, artists, who's made a mark this week? 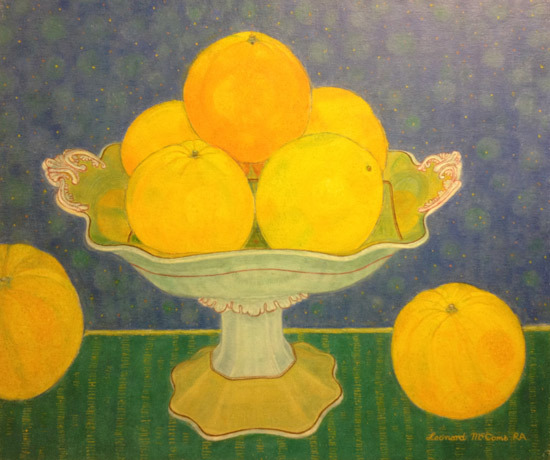 83 works by 71 artists have been selected from over a thousand submitted for display in the 8th Annual Exhibition of The Lynn Painter-Stainers Prize 2013. 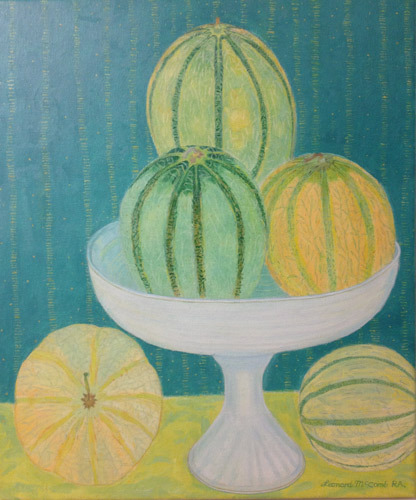 This will be held at the Mall Galleries, London SW1 from 19 February – 2 March 2013. This prestigious art competition is designed to encourage creative representational painting and promote the skill of draughtsmanship. The exhibition features excellent figurative painting by both established and young contemporary artists from across the UK. five Runner Up Prizes of £1,500 each. the Young Artist Award of £2,500 - to promote painting and support fresh new talent. I'll be doing at least one more post reviewing the exhibition next month. You can find links to posts about the call for entries and reviews of previous exhibitions and lists of selected artists at the end of this post. The artists whose work has been selected for the 2013 Exhibition are listed below. I've organised them alphabetically according to the number of works selected for the exhibition. Admission to the exhibition is free. It takes place at the Mall Galleries, The Mall, London SW1Y 5DB between 19 February – 2 March 2013, (10am – 5pm daily). 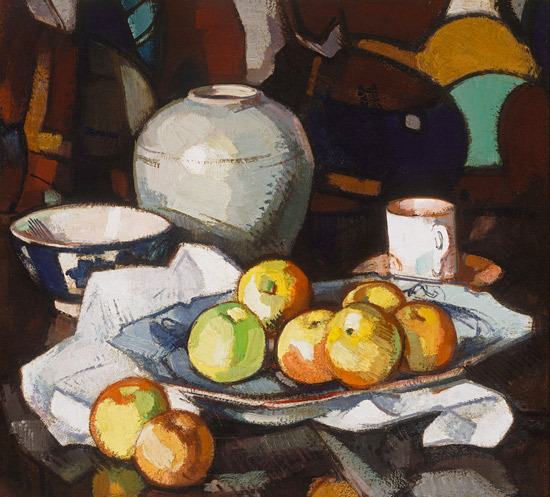 Ken Howard OBE RA NEAC, is a British artist and painter who has exhibited extensively throughout the UK and internationally. He was President of the New English Art Club from 1998 to 2003, and was elected a Royal Academician (RA) in 1991. Andrew Lambirth is a writer, critic and curator. He has been The Spectator’s art critic since 2003, and a contributor since 1996. A volume of his selected reviews from The Spectator entitled ‘A is a Critic’, will be published in March. Nina Murdoch, is a British artist who had a major solo show at Marlborough Fine Art in 2011. She has won numerous art awards, including the 2008 Threadneedle Prize. Antony Williams is a British artist and Lynn Painter-Stainers Prize winner 2012. Andrew Wilton is visiting research fellow at Tate Britain, following a distinguished career at the Tate, the British Museum and the Royal Academy of Arts. Posted by Making A Mark on Saturday, January 19, 2013 0 comments Who's linking to this post? 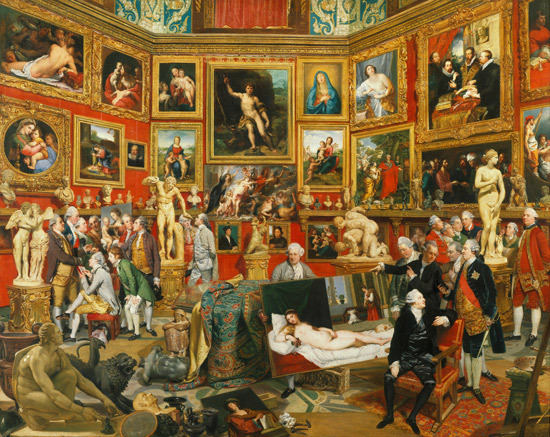 I have to keep thinking of new ways to challenge those participating in the challenge of identifying who, in the history of art, painted this painting, what's it called and where is it now - and how did you work out the answer! This is something of an iconic painting of paintings. Do please make sure you read the rules of participation before you respond. How to participate in "Who painted this? #12"
Posted by Making A Mark on Friday, January 18, 2013 16 comments Who's linking to this post? 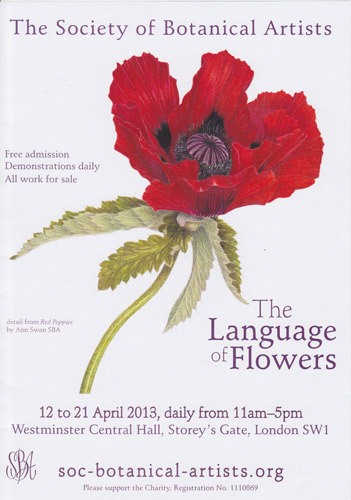 The Language of Flowers is the title of this year's Annual Open Exhibition by the Society of Botanical Artists (SBA). This post is about how to submit an entry for those not familiar with the process. It's also a reminder for me - and others - that the SBA deadline for entries to the 2013 Annual Exhibition is 18 February 2013! the key points for those wanting to enter the Exhibition. You don't have to submit work which complies with the theme - however works which do make for a more interesting Exhibition. flowers have traditionally had symbolic meanings and can be used to spell out messages - which will doubtless appeal to the cryptographer cross word puzzlers among the botanical artist fraternity. I'm agog to find out who will have the best suite of works - in words as well as art! Posted by Making A Mark on Thursday, January 17, 2013 4 comments Who's linking to this post? The 201st Annual Exhibition of the Royal Institute of Painters in Water Colours will be held at the Mall Galleries between 5 - 18 April 2013. Digital Submission and Pre-Selection Deadline: Thursday 31 January (noon). This enables artists to submit work for pre-selection and avoids the cost of getting the work to London if it is not pre-selected for review by the Final Selection Panel. If you're not sure whether or not your watercolour artwork "fits" with this exhibition why not take a look at my blog posts about previous RI Annual Exhibitions below. These include gallery shots of works in the exhibition - which display the variety, size and quality of work which is accepted. Plus links are given, where available, to the websites of prizewinning artists and artists whose work I liked. The is an "Open" Exhibition which means that non-members of the Royal Institute of Painters in Watercolour are also allowed to submit work. Posted by Making A Mark on Wednesday, January 16, 2013 1 comments Who's linking to this post? This afternoon I went to see the first ever formal official portrait of HRH The Duchess of Cambridge painted by Paul Emsley at the National Portrait Gallery. Read on for my review of it and some further thoughts on the viral repercussions of its unveiling - plus what I learned about people and portraits in the last few days. I studied the portrait in the Gallery for some time - and sat and sketched it as I find that a really good way of really looking hard at a portrait. The first image you see on this post is a jpeg file sent to me by Paul Emsley himself which has more colour and much less pallor and dark shadows than some of the reproductions I've seen published in the last few days. I also have a copy of the high-res print version of the official NPG version. Plus the original reference photo has been posted on an art forum - which also makes for an interesting comparison. So here's how they all vary from what I saw in the gallery. Essentially both the Emsley and NPG photos are darker than the painting. Her head in the painting is not seen floating in the dark! Both also lose some of the definition in the hair which I could see clearly while sat opposite it doing my sketch. Both make the background too dark. Coloration is better in the Emsley photo and closer to the original. The NPG makes some of the shadow areas seem much more marked and bluish than they are in reality. Interestingly the reference photo shows a dark area under the eyes which is less marked in both photos - and the painting! Posted by Making A Mark on Tuesday, January 15, 2013 12 comments Who's linking to this post? Last week the American Watercolor Society announced the names of the artists selected for the 146th Annual Exhibition (2013). It's customary for the show to travel to a number of different venues throughout the USA over the course of one year. Below you can find the names of the selected artists PLUS links to their websites (and, where identified, their blogs). I've highlighted signature members in bold. The titles of blogs spotted while finding links are italicised and included in brackets. The Annual Exhibition is open to all artists working in water soluble media: watercolor, acrylic, casein, gouache and egg tempera on paper. Canvas is not accepted. No collage, pastels, class work, copies, digital images or prints; original work only. The artwork may not be a copy or likeness of another’s work (i.e. painting, drawing, photograph, digital image or print). Only original artwork is accepted. 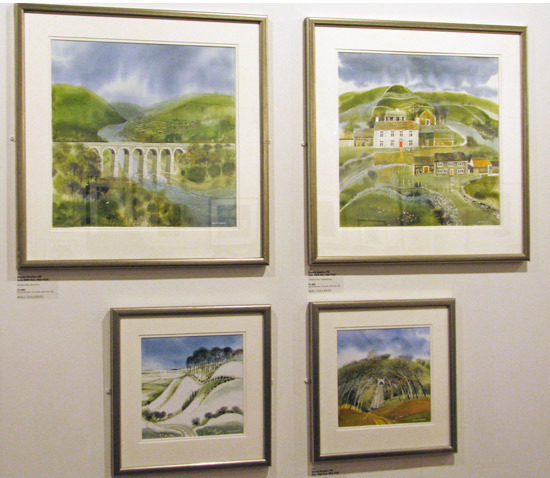 I've really enjoyed taking a look at the watercolour paintings of the artists selected for the exhibition. Interestingly far more artists in the USA seem to work in transparent watercolour rather than opaque paint. There's intense competition to be selected for this show and I suggest that any aspiring watercolour artist should take a look at their work. Posted by Making A Mark on Monday, January 14, 2013 2 comments Who's linking to this post? 13th January 2013 - Who's made a mark this week? 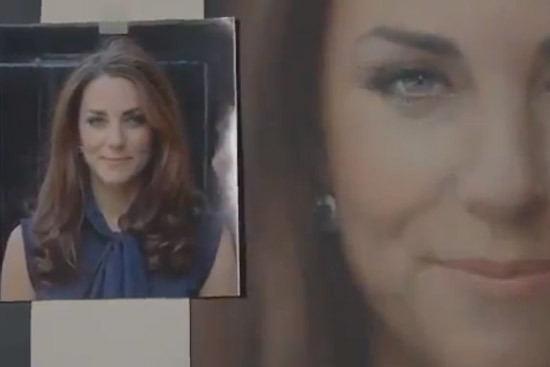 The big event of the week was the first formal portrait of the Duchess of Cambridge. There's been more written about portraiture on the internet in the last couple of days than I've seen in a very, very long time! However I find I've been getting more and more irritated by people who are making judgements on some less than wonderful photographs while at the same time making carping comments. I'm very sure most would be horrified if similar comments made in the same tenor were to be made about them and/or their paintings! Some of the comments left me wondering how artists could say such things about a fellow artist. Here's my post - Paul Emsley and the Duchess of Cambridge - two videos and a drawing which I recommend you view if only to see the videos and get an accurate perspective on the why/how it was painted as it was. Most importantly the videos identified in the post highlight the reference photographs used for the portrait and provide a much better colouration than the photographs of the portrait. The one I posted yesterday supplied by the NPG was completely drained of all colour. the bags under her eyes are genetic - they were not created by Paul Emsley. when she got married she was a decade older than Diana was when she got married - the two are in no way comparable in age ie she should look "older"
her grandmother in law is probably the most painted person in history. Many of her portraits look nothing like her - and she doubtless would have been a source of a few tips on the topic of how much the British love to criticise the latest Royal portrait! Duchess of Cambridge delights in first official portrait. Why should we doubt this given (1) she wanted a portrait of her "natural self" not a woman "on parade" for her royal duties; and (2) she knows what she looks like when not "on parade" and we don't? It's very human - when you look at it, the full face is in front of you, you look straight into the eyes and face. There are no airs and graces, there's no background context to allude to success or power - it's very much on a level of one to one with the viewer. It's quite natural, it's open, it's straightforward and very pure - it's immediate and not overly sentimental. First, people would do well to remember there's nothing media proprietors like more than the extra traffic caused by a bit of a controversy. They're also not above contributing to the feeding frenzy in order to generate comments and traffic and sell more adverts! Second, I suspect this painting will become known as the "Mona Lisa painting" within the collection of contemporary royal portraits and will become extremely celebrated in time - with people remarking in puzzlement about what was all the fuss about at the time. After all, it will remain in the NPG collection for centuries to come - unlike the articles written about it! [UPDATE Monday morning: Paul Emsley has now written to me having heard about the views I was expressing about his painting of the Duchess and my comments on the photography. He's sent me a photograph of his painting of The Duchess of Cambridge. I can confirm that it looks nothing like the one which has been circulating in the newspapers and on the Internet. The one I'm looking at has much better colour and the transitions on tonal values are much more subtle and very much more like what I'm accustomed to seeing in Paul's work. Which means that in the real painting she does NOT look old or drained or a vampire or a gothic horror or any of the other really nasty and mean-spirited remarks which have been made about this painting. To me this new photo indicates that the problem with the image people have seen lies entirely with the photographer and NOT the artist. I hope as this fact becomes more apparent that some of those who made nasty remarks will have the good grace to apologise! Posted by Making A Mark on Sunday, January 13, 2013 9 comments Who's linking to this post? Categories art, art blogs, Art Business and Marketing, artists, exhibition, portrait, portraiture, who's made a mark this week? 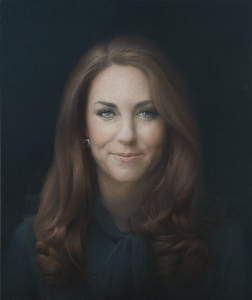 Many people have commented on Paul Emsley's portrait of the Duchess of Cambridge. Below you can view two videos about the portrait and the portraiture process. The first is a video available via TheRoyalfamily channel on YouTube or the NPG website. In this one Paul Emsley explains the process used for the portrait and shows the photos he worked from. The second was created by the Art Fund who helped fund the portrait commission. For me both videos provide a much better picture of the portrait than that seen in many of the photos. I'm now wondering how many of those who wrote about the portrait did so from the photographs rather than the videos. (I do hope the NPG will replace their "for use on a website" image - see right - which has completely lost the colour which is so evident in the videos). Can I recommend that both videos are viewed full screen as they provide a much better appreciation of the portrait - in which she does not look old! We also hear more about a very important concept behind the portrait - about how the Duchess of Cambridge wanted a natural portrait and NOT one which showed her "on parade", as it were, in her formal and official role. "The Duchess explained that she would like to be portrayed naturally - her natural self - as opposed to her official self. She struck me as enormously open and generous and a very warm person. After initially feeling it was going to be an unsmiling portrait I think it was the right choice in the end to have her smiling - that is really who she is." It strikes me that this decision shows us a woman with her own independence of mind - and it may well be that people will come to like this portrait very much more in the years to come. The painting was created in May and June 201 from two sittings at Kensington Palace and at the artist's studio in the West Country, England, and Kensington Palace - and from photographs. The National Portrait Gallery’s painting of its Patron was commissioned by the Gallery, and given by Sir Hugh Leggatt, in memory of Sir Denis Mahon, through the Art Fund. 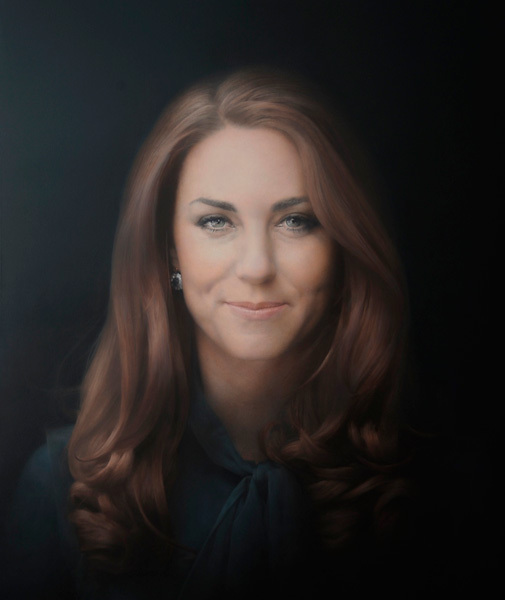 The Duchess was involved in the selection process, from which artist Paul Emsley, the 2007 winner of the Gallery’s BP Portrait Award competition, was chosen by Director Sandy Nairne to paint her official portrait. Below you can view a video created by The Art Fund which further explains the portrait - although it gets a little overblown in my view. The basic point though that this is a portrait of a new Duchess at the beginning of her 'royal career' in which she will be painted again and again in a much more 'royal' way in a very good one - and one which a lot of people missed who commented on this portrait on Friday. I'm greatly intrigued by the fact that both videos are referring to the portrait as "Katherine, Duchess of Cambridge" which is a term usually used for a divorced Duchess(!) - and I beg to refer both to Burke's Peerage on this topic! (Readers may recall "Diana, Princess of Wales" as the title she assumed only after her divorce). I may be completely wrong about this. I was also greatly intrigued by a charcoal drawing of a young lady called Katherine on Paul Emsley's website. To my mind this bore a considerable resemblance to photographs of a younger Katherine Middleton. It made me wonder whether this was actually the first time she had sat for Paul Emsley - or whether she was a little more familiar with the work of this artist. Making A Mark - Paul Emsley wins BP Portrait Award (22 June 2007) - announces the winners of the BP Portrait Awards 2007 - including Paul Emsley who won first prize. Posted by Making A Mark on Saturday, January 12, 2013 9 comments Who's linking to this post?